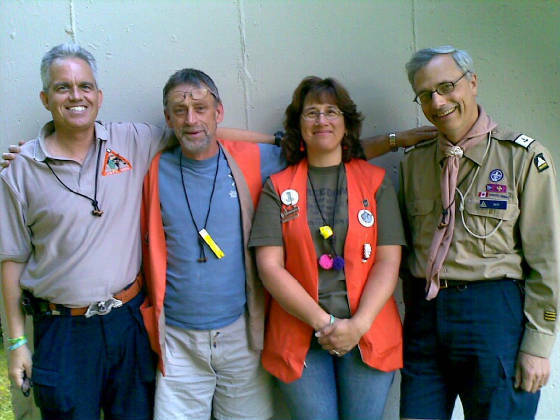 Mark, Lloyd, Shar and John at the Gilwell Reunion held yearly at the Blue Springs Scout Reserve. We have met every year since 2002 in different combinations. Pat was at the 2008 reunion too but missed out on the photograph! You notice that we are all wearing our beads. You cannot get into a Gilwell Reunion unless you have them around your neck.